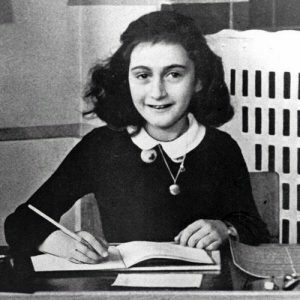 Anne Frank was a German-born diarist and writer. She is one of the most discussed Jewish victims of the Holocaust and her diary, The Diary of a Young Girl, is one of the world’s most widely known books. Born in Frankfurt, Anne and her family moved to Amsterdam when the Nazis gained control over Germany. Once the Nazis had occupied the Netherlands in 1940, the Franks went into hiding in a secret annex behind a bookcase at the building where Anne’s father, Otto worked. Anne stayed in this annex, along with her parents, sister and another family for over two years. 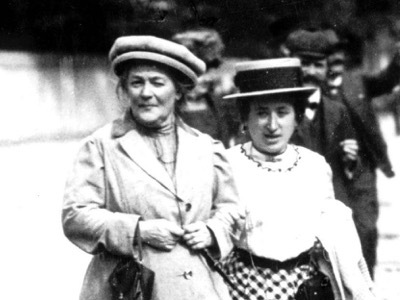 In 1944, an anonymous informer tipped off the police on the Franks’ whereabouts and they were arrested and sent to labour camps. Otto was separated from his wife and daughters, who were eventually transferred to Bergen-Belsen concentration camp, where it is thought they died of typhus. It is thought that their deaths occurred just months before British soldiers liberated the camp on 15 April 1945. Otto was the only member of the family to survive the Holocaust, and on returning to Amsterdam he released Anne’s diary for publication. It received praise from across the globe and has since been translated into over 60 languages.